The New Barocco collection by Roberto Coin will adorn you with elegant style. 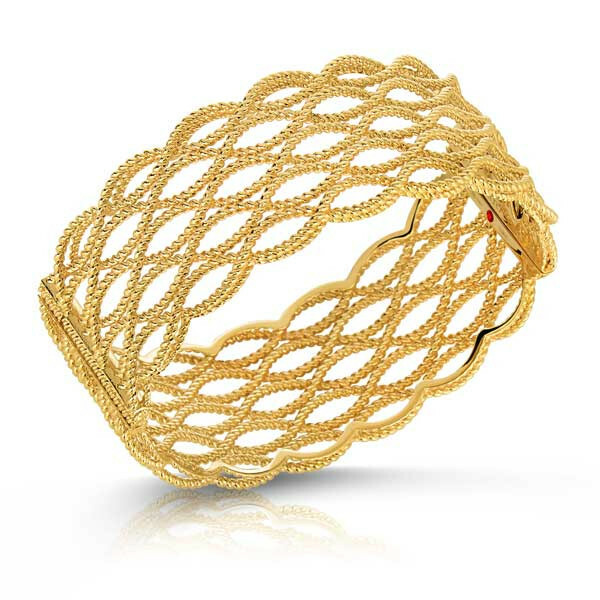 This bracelet has five rows of 18kt yellow gold beauty that are twisted, loosely braided, and bound together to form a wide cuff. Even with it's broad appearance, this Roberto Coin bracelet is light and airy adding a touch of gracefulness to your look.